For people with physical and cognitive disabilities, getting dressed can be a huge undertaking. There’s the act itself, but there’s also a myriad of issues that can come along with itchy tags, difficult buttons or zippers, and the universal desire to look good. Lauren Thierry, a former CNN news anchor, knows the struggle all too well. Her 17-year-old son Liam has autism, and after years of battling clothing frustrations day in and out, she decided to take the problem into her own hands. 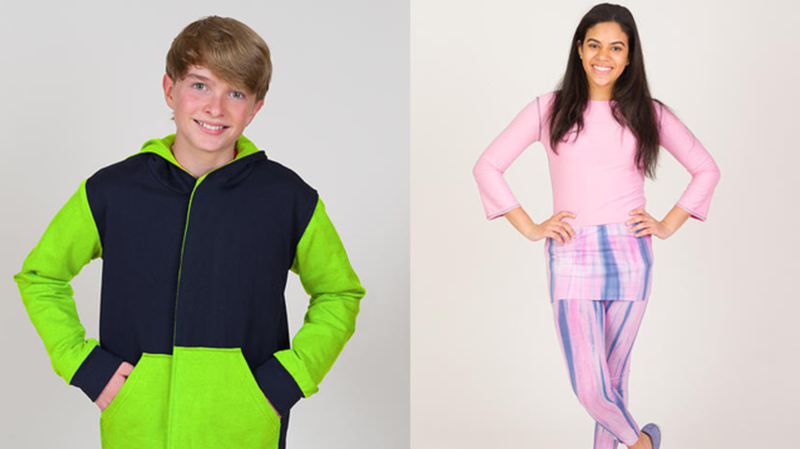 Thierry started Independence Day Clothing, a company that makes clothing designed for kids and adults with disabilities. The clothes are comfortable, but fashionable, with no trace of zippers, seams, buttons, tags, or lace. There’s also no wrong way to wear them, as every item can be worn inside or outside, and the front and back look and operate in the same way. In other words, it eliminates the very concept of front or back. On top of comfort and ease, many of the clothes in the Independence Day Clothing line are GPS compatible, an important feature for parents with children who might be prone to wander or run off. The no-frills clothes cut dressing time by nearly 90 percent, a huge amount of time saved for the 21 million Americans dealing with various disabilities. For Thierry, the clothes her company makes are not just about helping her son today, but well into the future when she’s no longer around. "We really changed the conversation," she told ABC News. "They can get up, get dressed and feel good about themselves. Why not start the day on a positive note?" To see a few of the versatile styles, scroll down or check out the Independent Clothing Company website.